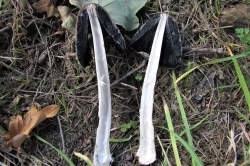 Elongated finger-like shape opening to a cone. 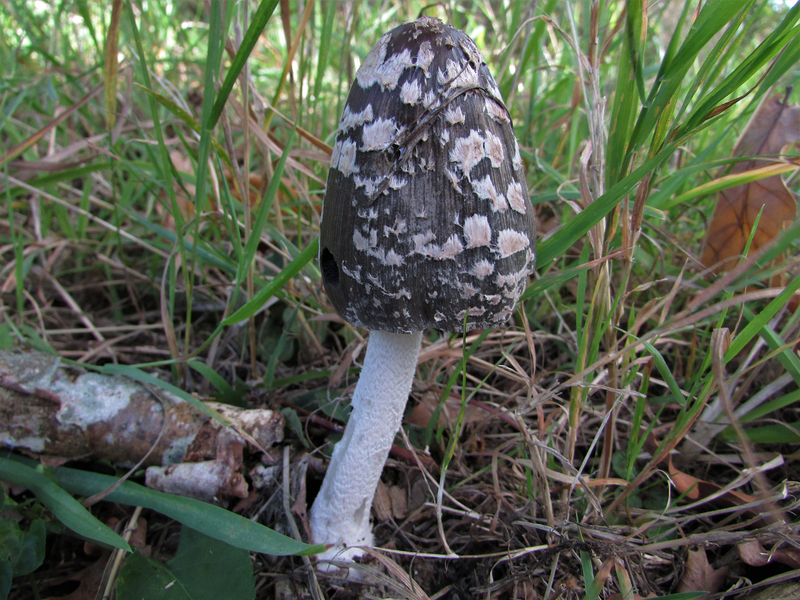 Appearing white and shaggy with a black background turning brown/grey to black and then ‘melting’. 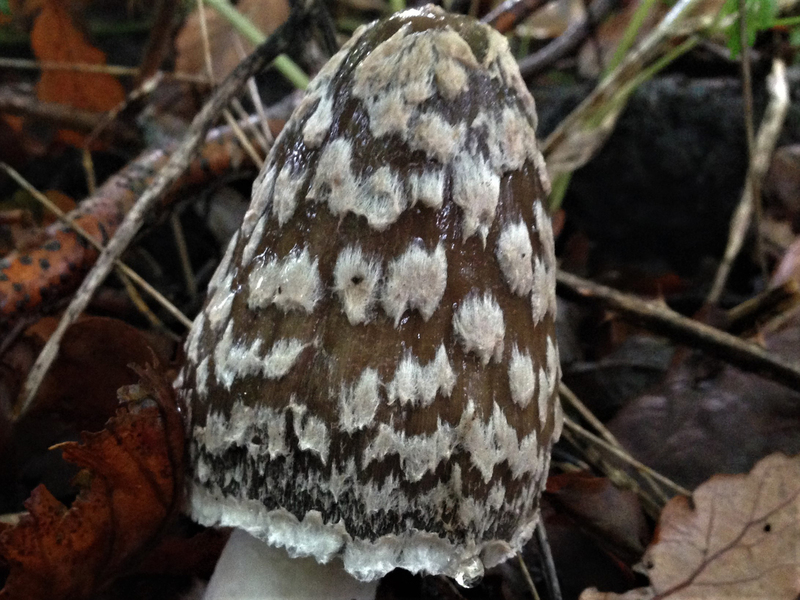 Gills white turning pink to grey to brown until becoming black and ‘melting’. 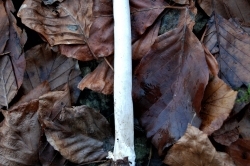 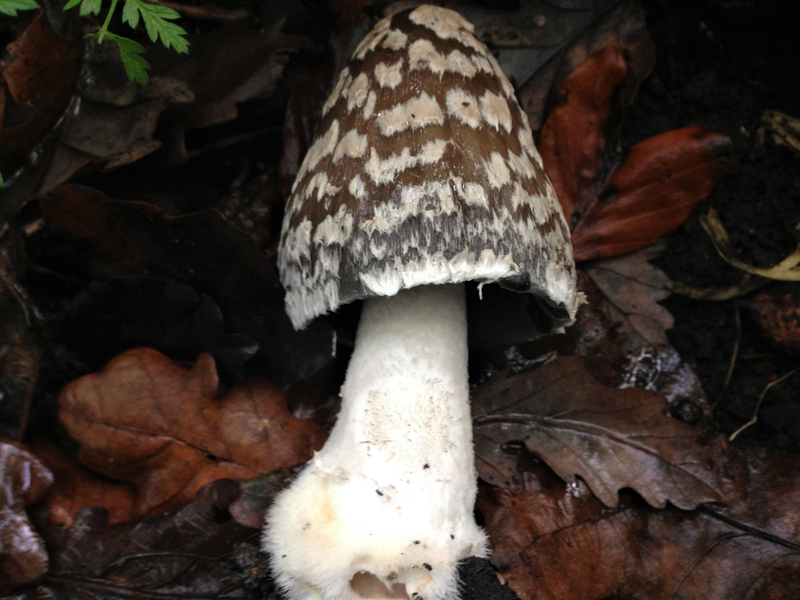 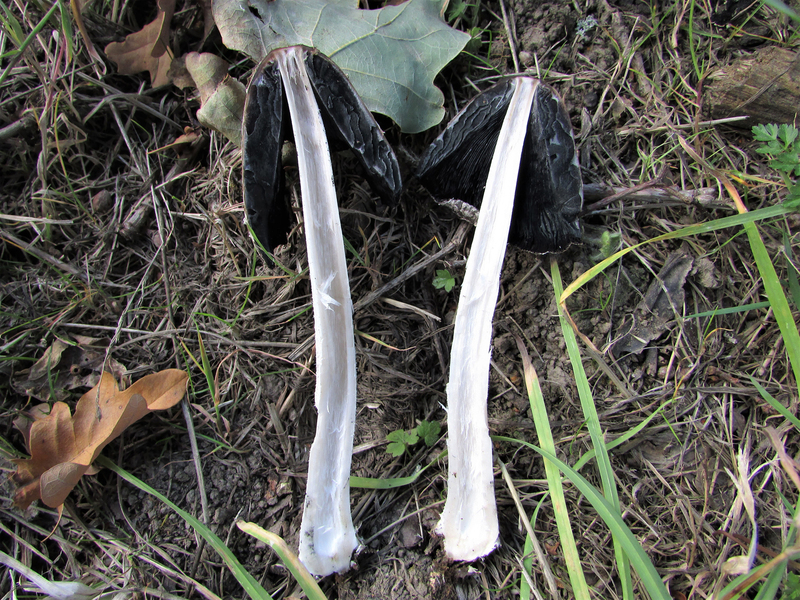 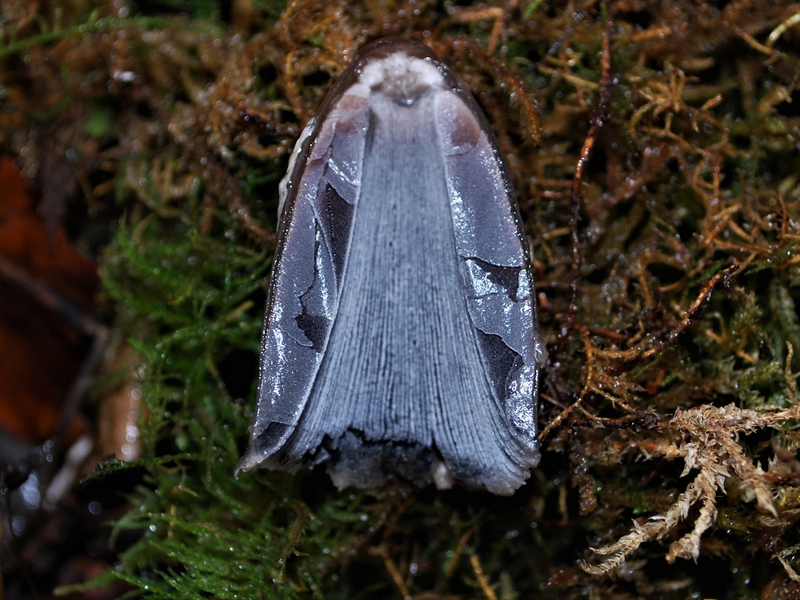 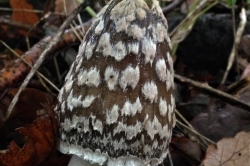 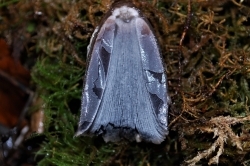 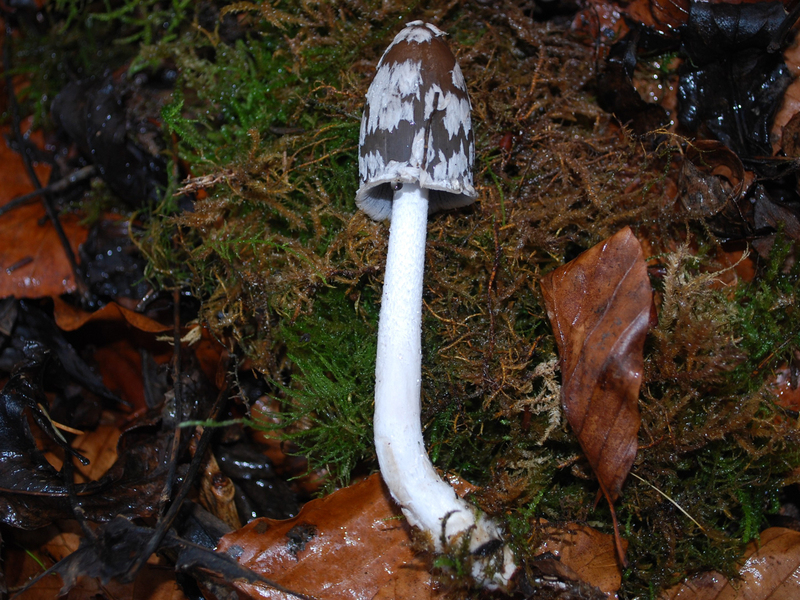 White, narrow, usually hollow and with a white movable skirt, sometimes stained black with spores and can have a slightly hairy bulbous base. 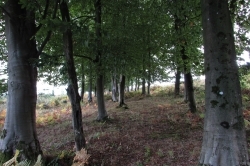 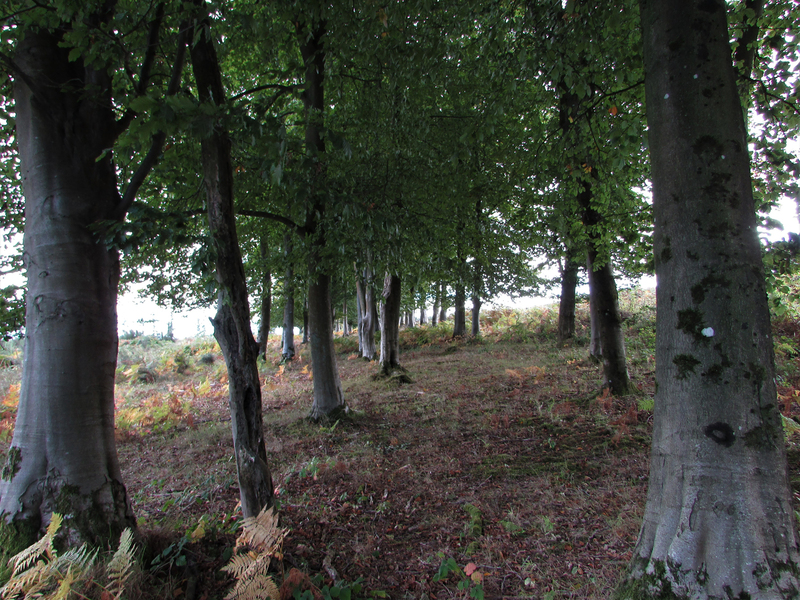 Beech woodland especially on chalky soils. 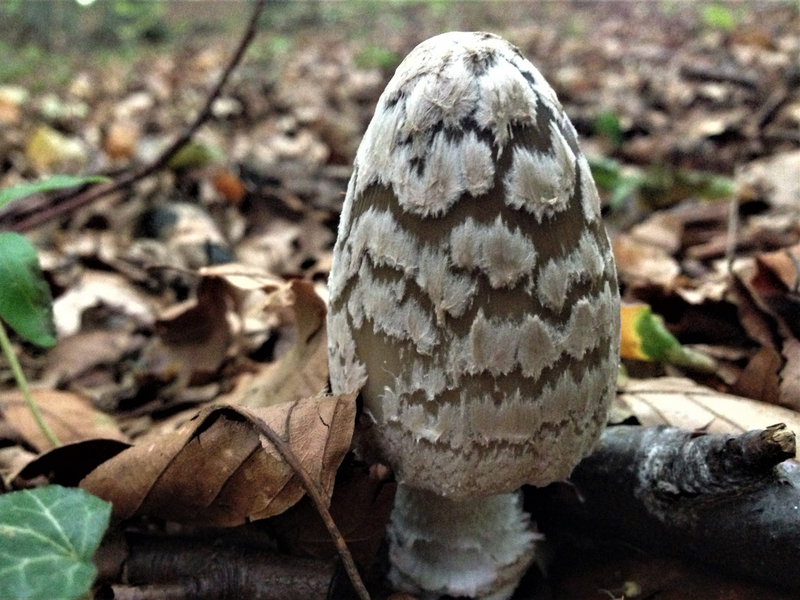 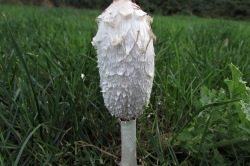 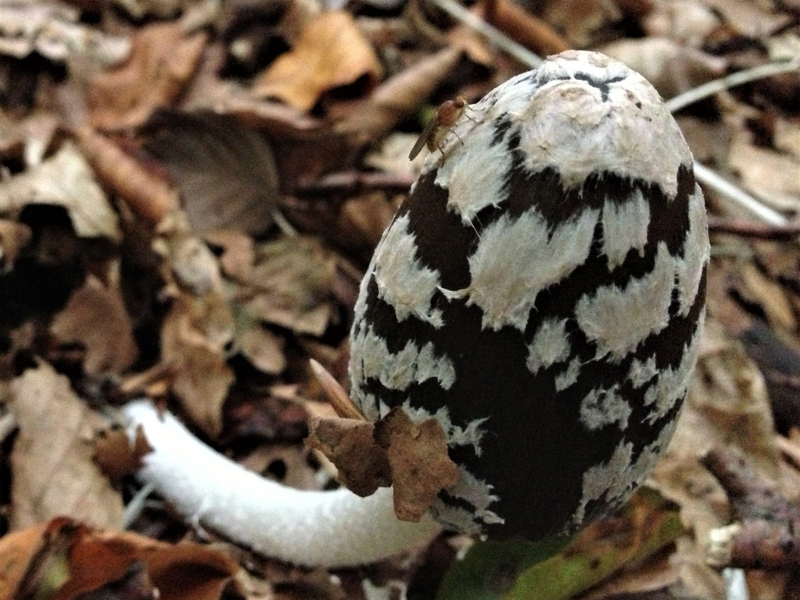 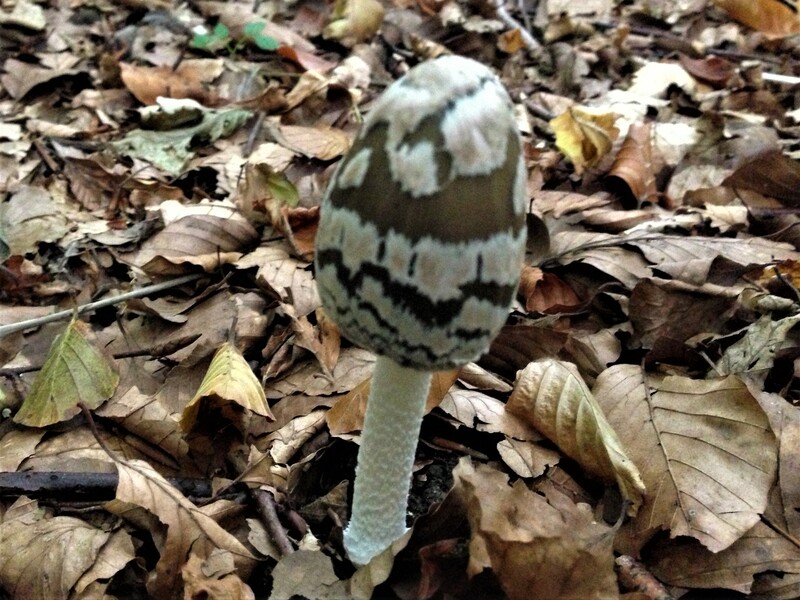 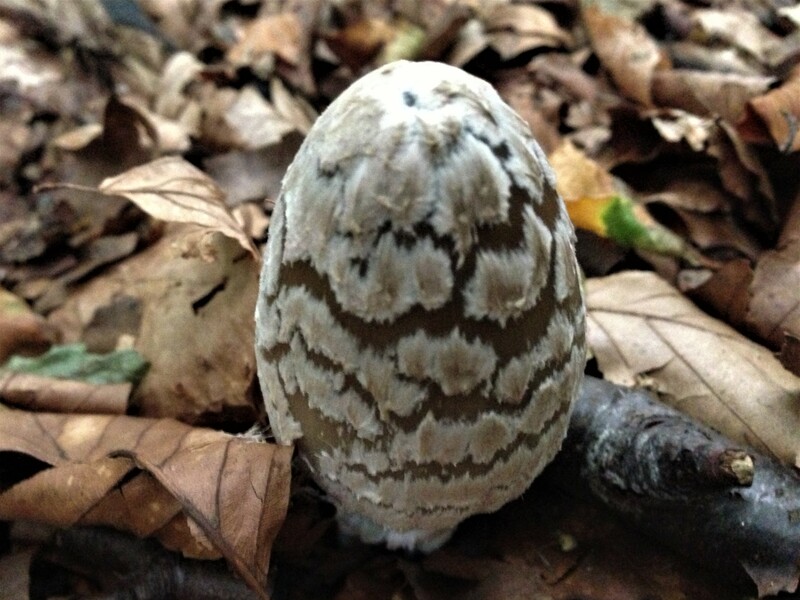 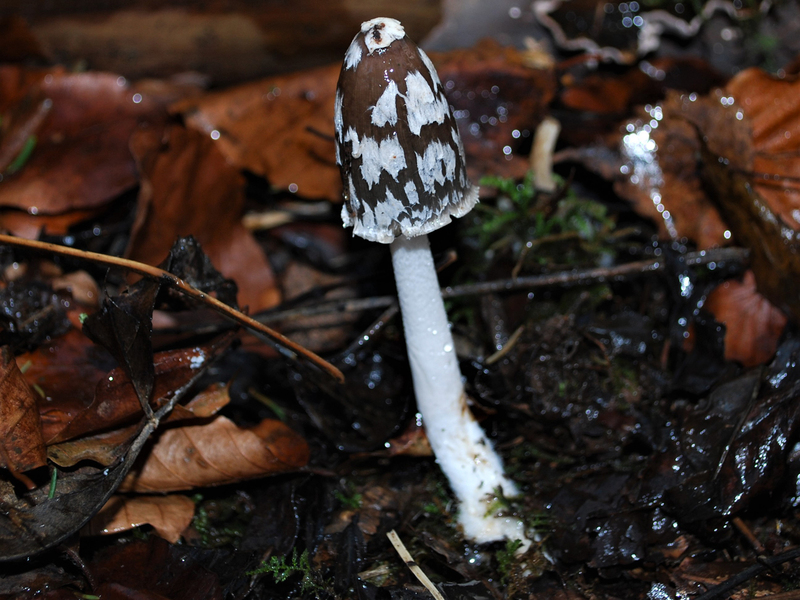 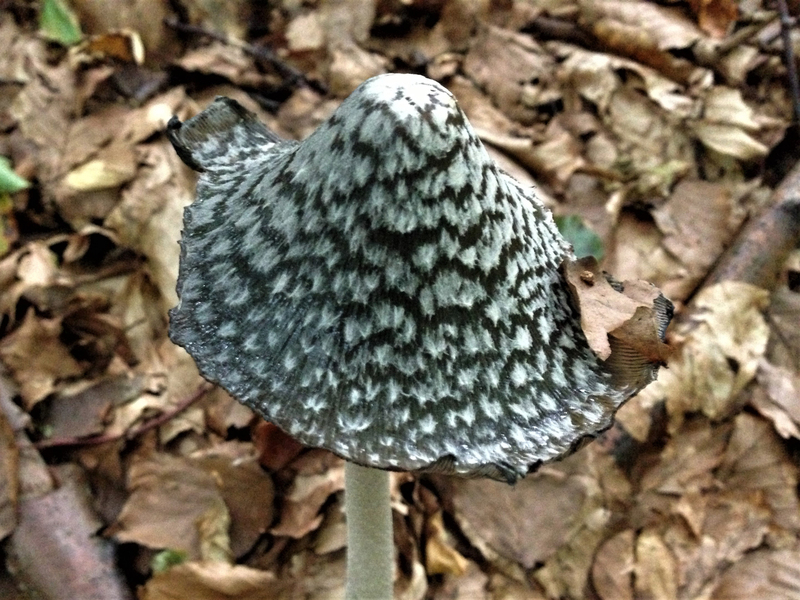 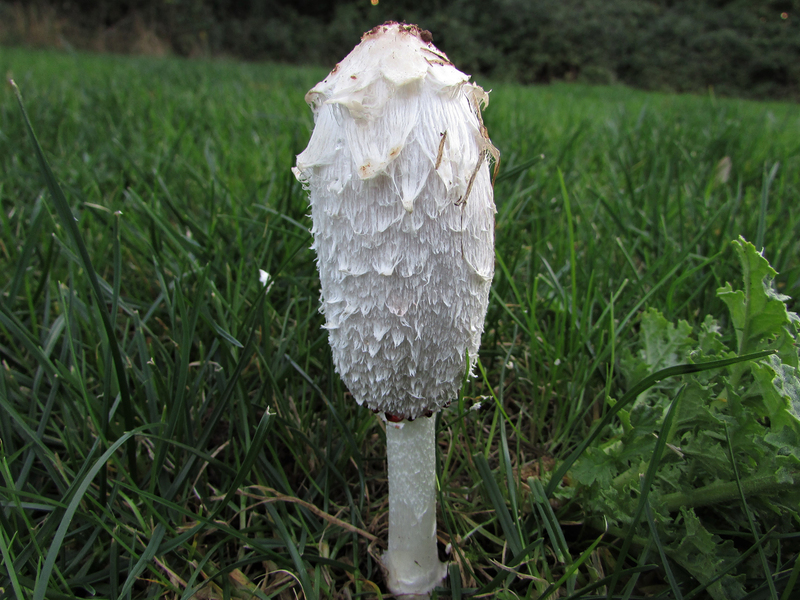 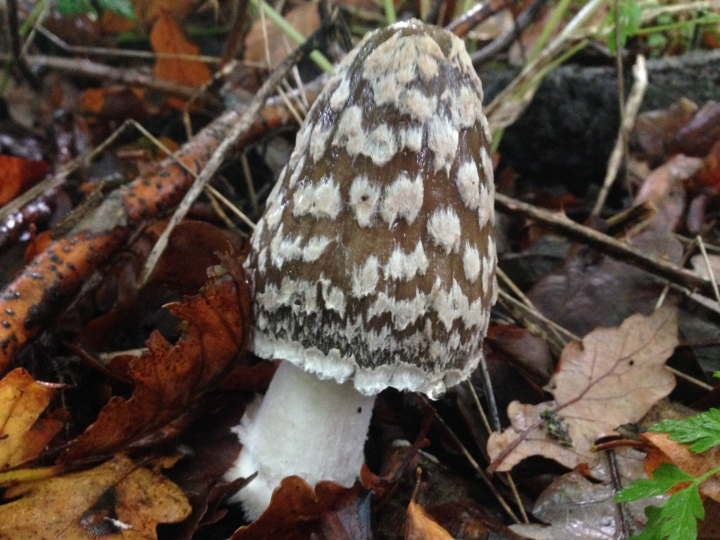 The Shaggy Inkcap, pictured, has a white cap with white scales, the Magpie Fungus has a black cap with white scales. 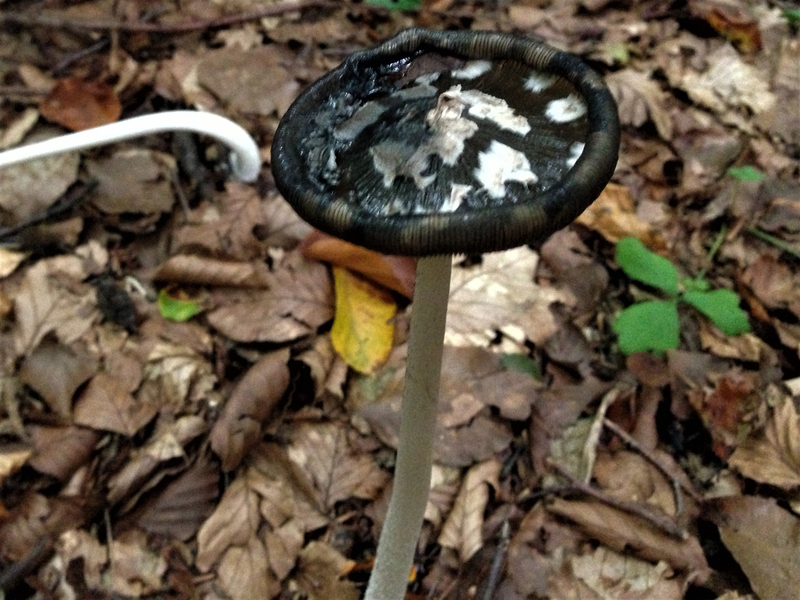 The resulting mess from leaving this mushroom to deliquesce can be used as a viable ink. 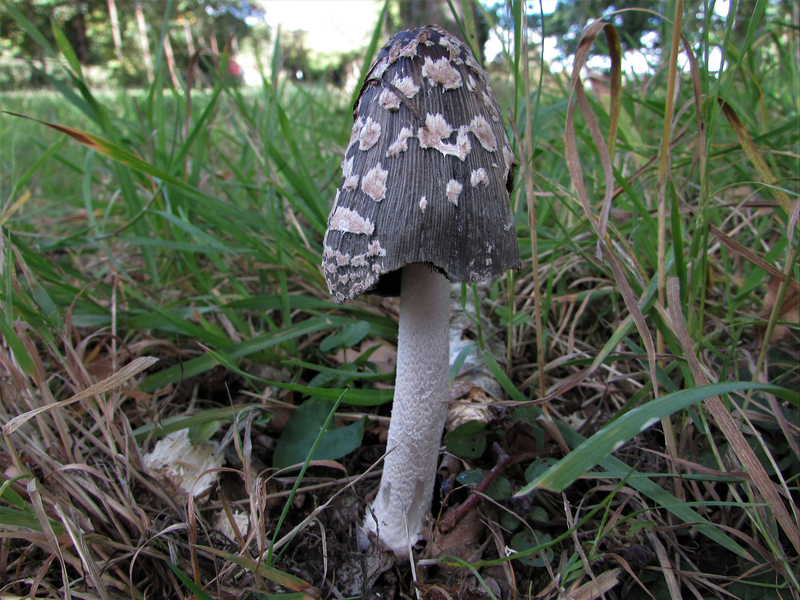 Found a group of these in Dartington Hall gardens – not sure how to upload picture. 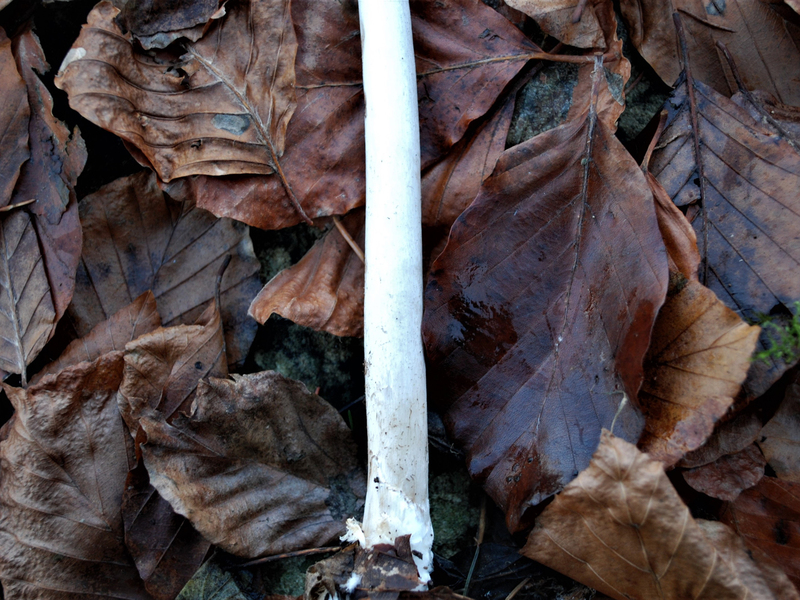 An enormous patch of them still looking good in Dartington Hall. 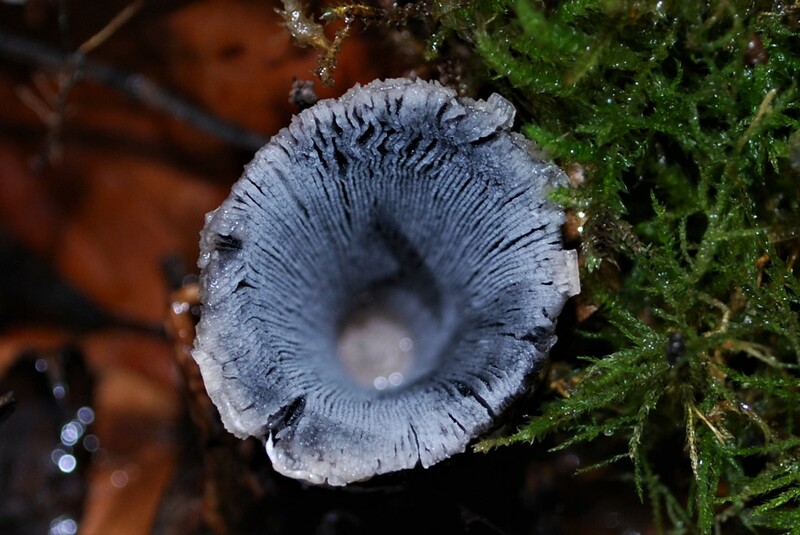 Rather an unusual location as these are normally associated with alkaline substrates and usually but not exclusively with beech. 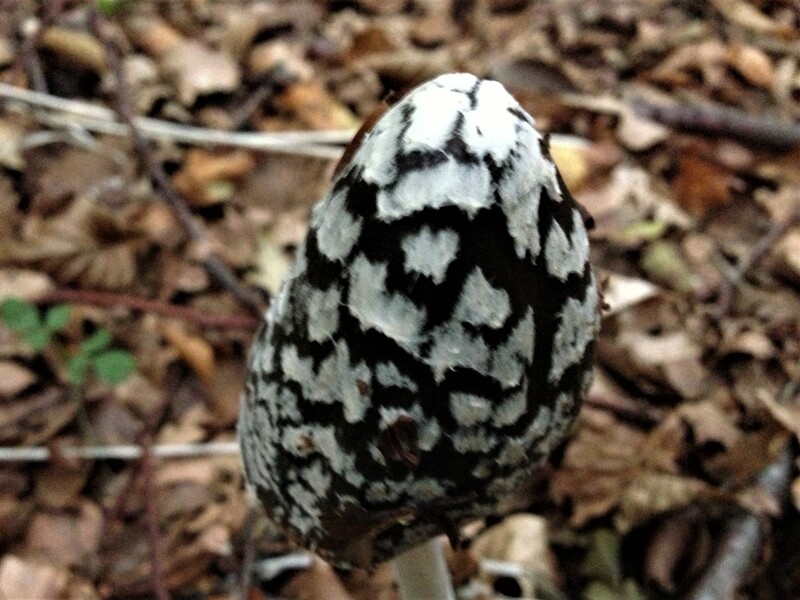 These are almost certainly associated with yew.